Electroencephalogram (EEG) signals are useful for diagnosing various mental conditions such as epilepsy, memory impairments and sleep disorders. 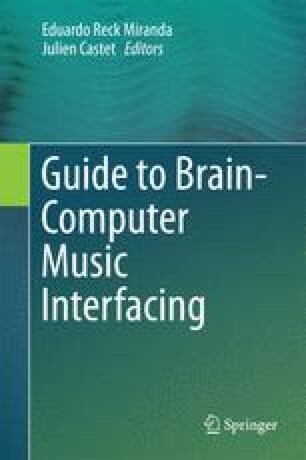 Brain–computer interface (BCI) is a revolutionary new area using EEG that is most useful for the severely disabled individuals for hands-off device control and communication as they create a direct interface from the brain to the external environment, therefore circumventing the use of peripheral muscles and limbs. However, being non-invasive, BCI designs are not necessarily limited to this user group and other applications for gaming, music, biometrics etc., have been developed more recently. This chapter will give an introduction to EEG-based BCI and existing methodologies; specifically those based on transient and steady state evoked potentials, mental tasks and motor imagery will be described. Two real-life scenarios of EEG-based BCI applications in biometrics and device control will also be briefly explored. Finally, current challenges and future trends of this technology will be summarised.